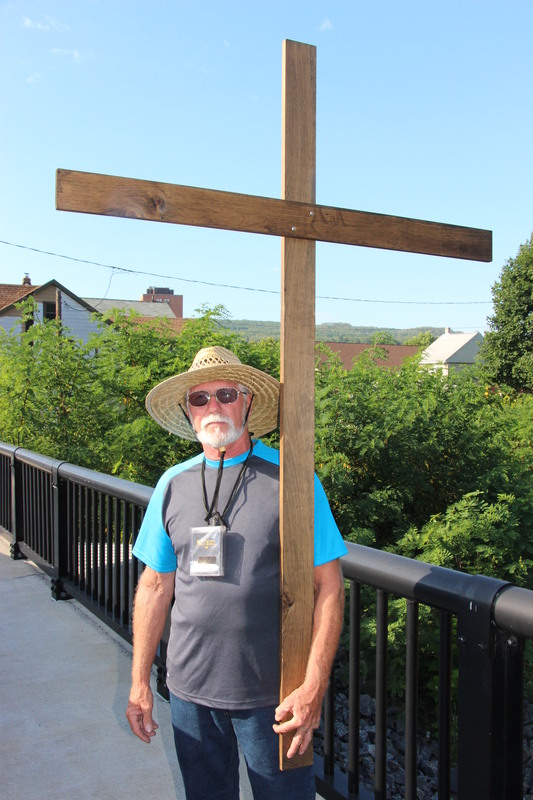 MAN CARRIES CROSS THROUGH TAMAQUA; TRAVELING FROM VERMONT TO WASHINGTON D.C.
Donald W. Duncan Jr. traveled through Tamaqua on August 9, 2015 on his journey from Vermont to Washington D.C. as part of his “Heal America Walk” to benefit New Hope Children’s Home in New York. 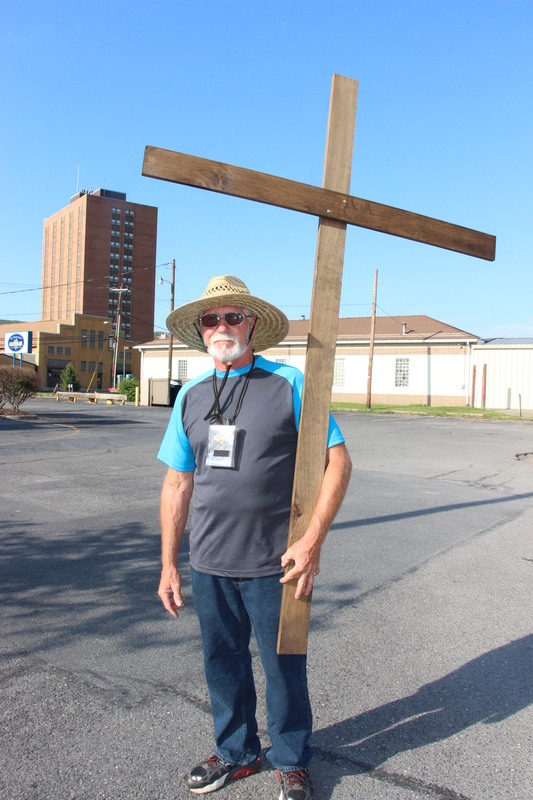 He started his 500-mile walk on June 29 and estimates he will arrive in Washington D.C. in early September. 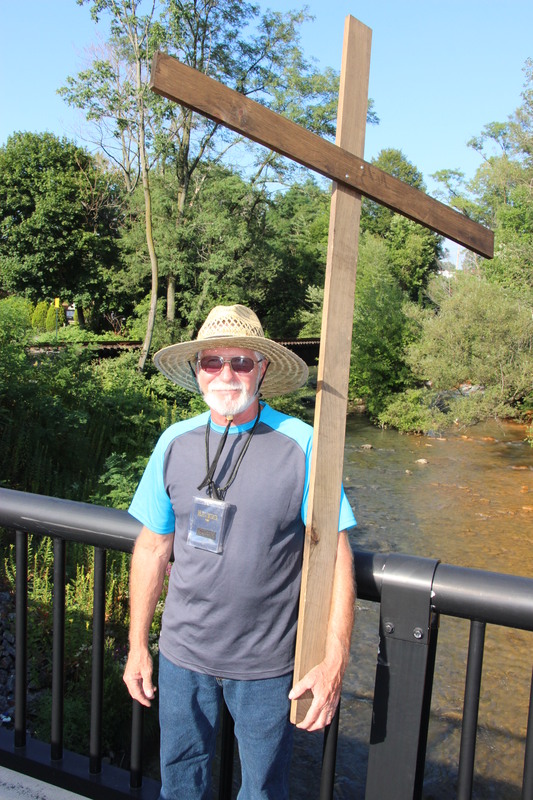 Duncan, age 65, says he walks a mile or so and then walks back to where he started. From there, he drives his van ahead the full distance he walked, to include the return distance, and starts walking again. 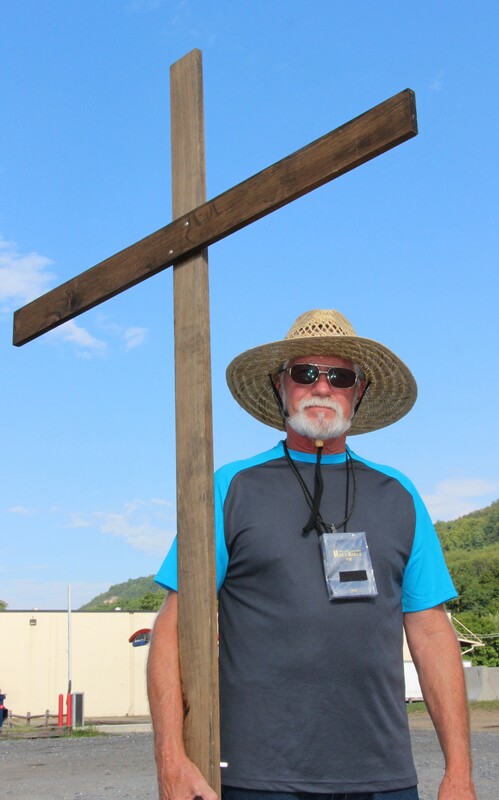 To support this walk, you may send donations to Donald W. Duncan Jr., 4738 VT Route 31, Poultney, VT 05764. Want to help an orphanage? Send your donation to the New Hope Children’s Home, c/o Mark Bolos, at POB 107, Yorkville, NY 13495. He can be contacted by calling 802-287-1054 or via email at annrichduncan@yahoo.com. Click HERE to view related stories online about his trip.